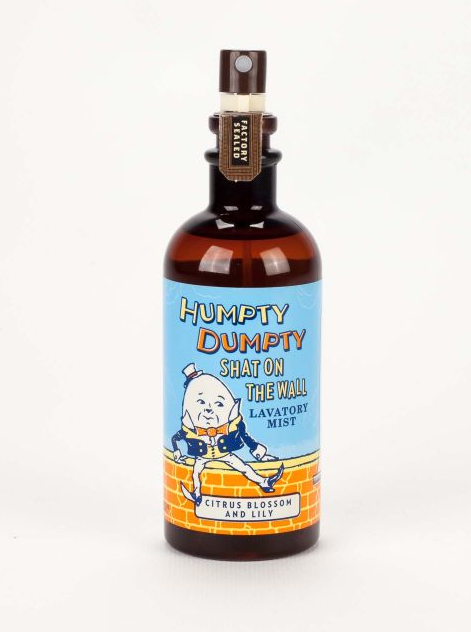 "Humpty Dumpty's world-famous formula conquers the odors of horses and men. 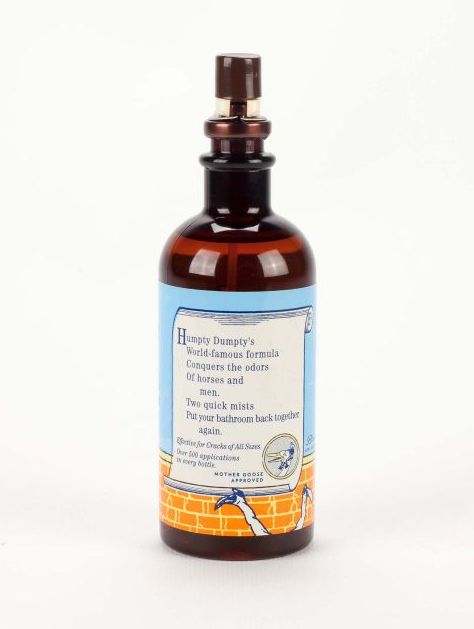 Two quick mists put your bathroon back together again." Wait, are you telling me that ISN'T how the rhyme goes? Scented with citrus blossom and lily.